Lunch after Jo Hays Vista. 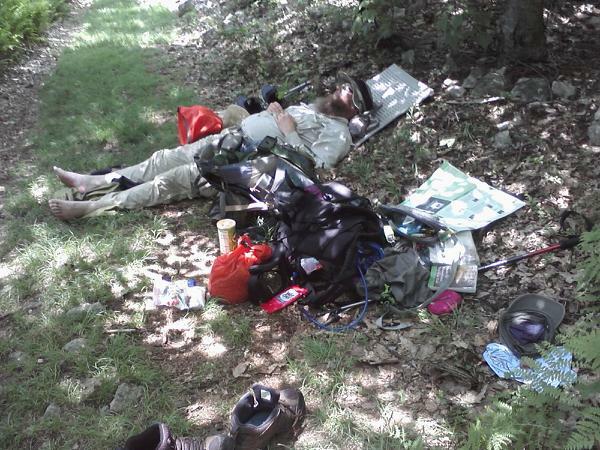 . . We really hiker trashed it up. Don't worry; we carry it all with us. We just discussed getting up and moving some more now but the verdict was inconclusive.